Equipment: Bring bat, glove, helmet, and indoor attire. 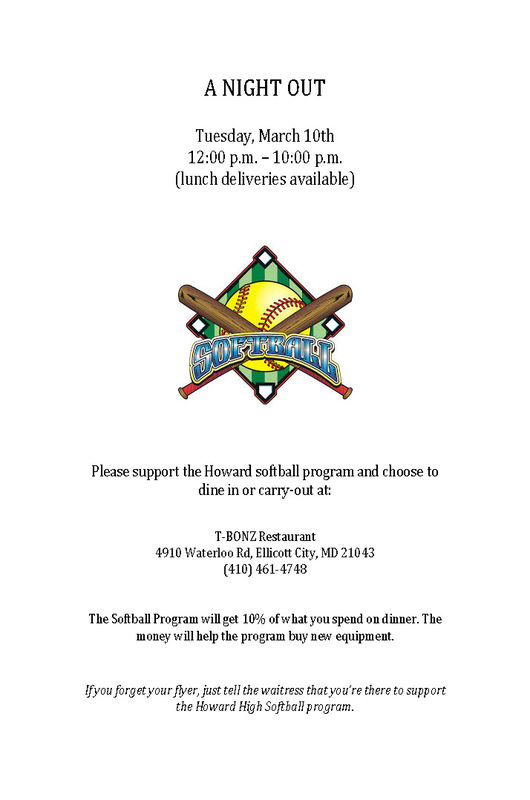 Tuesday, March 10th - Noon to 10:00 p.m.
Bring flyer or mention Howard Softball when you order. 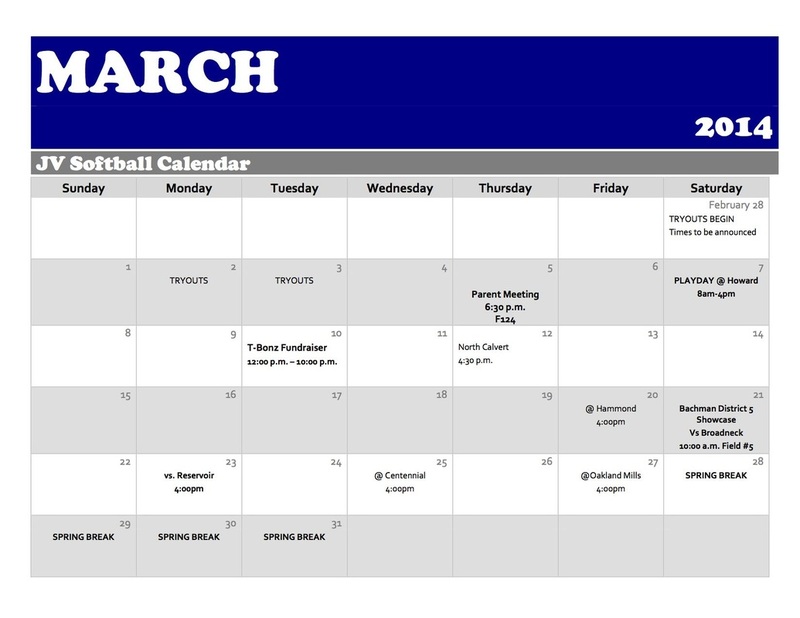 We encourage all of our softball families to join the Lions' Pride boosters club. Field is located to the right of the school. It is located in the far corner below the tennis courts. There is a stairway leading to the fields alongside of the tennis courts. *First team is home team; second team listed is visiting team. Home team must provide 2 game balls. Please make sure all parents and fans know that their will a gate fee of $5/person. Coaches and players on the roster will be permitted into the complex for free. Coaches will need a state pass to verify that they are indeed the coach. Thank you for participating in the 2nd Annual District V Spring Break Tournament. Please contact Linda Parks if you have any questions or concerns.